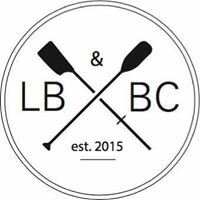 The LBBC is a Not-for-Profit Organization for the Limestone City to offer water activities for youth and adults with a focus on developing the sports of Stand-up Paddleboard (SUP) kayak (surf ski), SUP-Rowing (SUPR) and sailing. Developing knowledge, skills and fitness in these activities through innovative, recreational and friendly competitive activities in a group environment. SUP/SUPR introduces individuals to boat handling, SUP paddling, safety, training and conditioning in a fun group or individual setting. Surf ski is an open water racing kayak which can be remounted if you fall off in rough water making it an amazingly safe and fun craft for progressing to racing kayaks or marathon kayak events. Our marathon and open water racing team travels over Eastern Canada and the USA competing in wilderness adventure races, long distance river and open water races. With a wide range of craft that can be used for fun recreational activities to competitive events provides an introduction to the sports for athletes of all ages and opportunity to progress in more competitive programs at our partner clubs Kingston Rowing Club and Sydenham Lake Canoe Club. From with kids boards and kayaks for 6 year olds and sit on-top recreational kayaks all the way to high performance surfskis and racing SUPs, try a variety of paddle sports in a great club environment and see where it takes you! 2019 will mark the beginning of our longterm relationship with the City of Kingston in Rotary Park. For 2019 we will be moving our container and docks to the Rotary Park shoreline. We are the recipients of a $24,000 United Way Community Investment Grant for 2019 and will be constructing an accessible public dock onthe shoreline. This dock will be temporarily linked to the pathways within the park and will offer a wide and gradual slope to a floating dock where Club Members and citizens of our communiyt may launch watercraft such as SUPs, kayaks and canoes. Our lower docks and fittings will be attached to this large steel and wood floating dock. We are truely thankful to the United Way of KFLA and Inner Harbour Marine Contractors for their funding and generous work installing our new facilities.